Petchup® Makes Your Pet’s Dry Food Delicious and Nutritious! - Petpav - Your Online Magazine for All Things Pet! Petchup® Makes Your Pet’s Dry Food Delicious and Nutritious! We know how challenging it can be to get our pets to eat their dry food. And kibble not only helps our canine and feline family members keep their teeth in good condition, but is easy to leave out all day. Just like us, our pets can easily get tired of their food, but we don’t want to keep switching out brands to get them to eat! Well, what if there was a condiment that you could add to your pets’ food that not only entices them to eat it all up but also adds a healthy dose of vitamins to it? Well, Petchup® does just that and more! Petchup® is not like other condiments on the market as it is made from the finest natural food-grade, nutritional ingredients available. Petchup® was created as a flavorful addition to dry food while providing a healthy portion of vitamins, minerals, glucosamine, Omega 3, 6 & 9 and prebiotic to your pets’ daily diet. It’s a delicious daily supplement in the form of a pet food condiment that your dog or cat will love! Petchup® is a tasty treat for your pets! Many people have trouble getting their pets to finish a meal. Some owners try to entice their pet by using table scraps or even by using real ketchup or barbeque sauce, which is full of sugar and other unhealthy ingredients. Petchup® Nutritional Condiments have a taste and zest that pets love and has been proven to get them eating up to the last morsel! Petchup® Nutritional condiments come in a variety of flavors that even the most discriminating dog or cat will find delectable! For dogs, there is PETCHUP (beef), MUTTSTARD (salmon), BARK B-Q (pork) and MUTT-N-AISE (turkey). And for cats: CATCHUP (salmon) and MEOWSTARD (turkey) for our finicky felines! 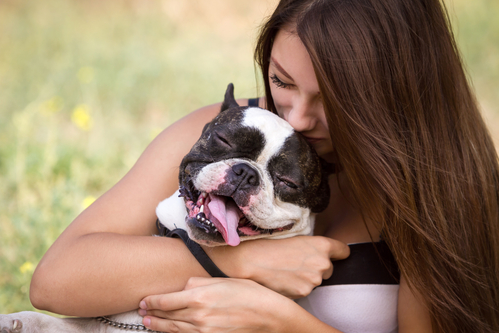 If you give your pet a daily nutrition pill, it can be very challenging. 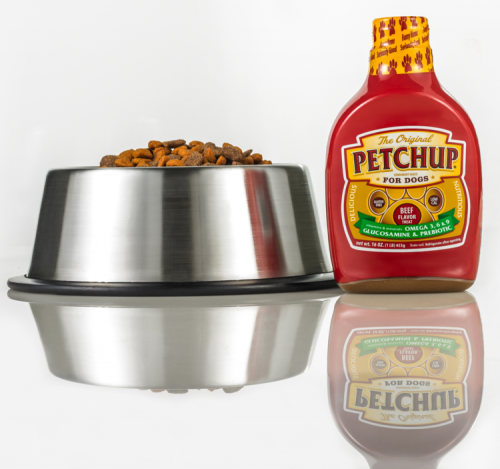 With Petchup®, you can just pour it right onto their food and they will eat it up without a fuss. It’s that simple. Petchup® regularly gives time, profits and/or products to local shelters and other organizations that care for our furry friends. They also use social media to help spread the word about cats or dogs that just need a good home. How great is that! Petchup® can actually help you save money! You could spend a lot of money on individual minerals or products that Petchup® Nutritional Condiments already contains. It’s easy to spend at least $10 per month on the daily benefits of glucosamine. Then factor in omega 3, prebiotic and other vitamin supplements and you could spend well over $50 per month. And with Petchup® dog products priced at less than $8.00 per bottle and cat products for less than $7.00 (which lasts up to a month), you can save around $400 a year! 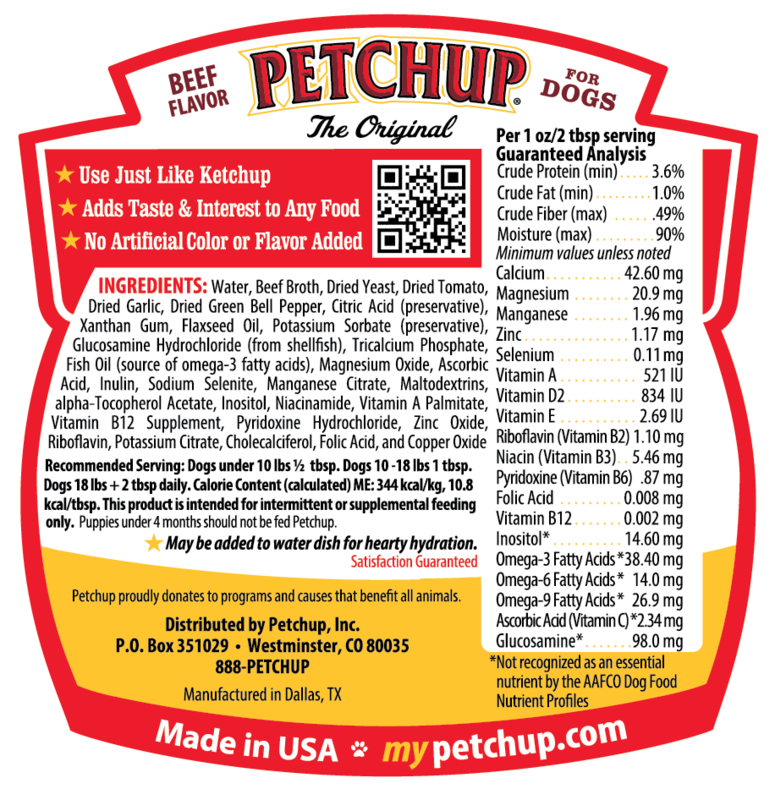 There are so many reasons why you should try Petchup® Nutritional Condiments for your dog or cat. With the yummy flavors, healthy nutrients and annual savings, you and your dog or cat will be happy you did! Buy some today at: http://www.petchup.us.